Monk fruit is a small sub-tropical melon that has been cultivated in the remote mountains of Southern China for centuries. According to legend, monk fruit is named after the Lou Han group of people who were Buddhist monks that first cultivated the fruit over a thousand years. In the practice of Traditional Chinese Medicine, Luo Han Guo is considered to be a longevity aid and is associated with longevity in populations that live for one hundred years or more in Southern China. 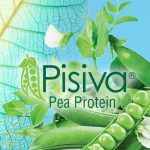 Hill Pharma, Inc. is an industry leader in the production of high quality botanical extracts. 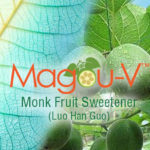 Our Magou-V™ is naturally extracted from the monk monk fruit. 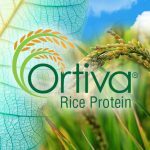 Hill Pharma, Inc. controls the cultivation and proprietary production in a process that is vertically integrated. Magou-V™ is available in both USDA Organic and Non-GMO natural options. The monk fruit was discovered over a thousand years ago, and has been treasured for its medicinal and sweetening properties ever since. The sweetness of the monk fruit comes from antioxidants called mogrosides. Mogroside V has the highest sweetness level and most health benefits. Magou-V™ has zero calories, is nearly 300+ times sweeter than cane sugar, does not raise glucose levels, and provides a clean label alternative for formulators. With FDA Nutritional labeling taking effect, all sugars found in products need to be identified. Having a healthy, sweet alternative is a priority for may consumers. Artificial sweeteners can be harmful to our health Magou-V™ is a solution, providing natural sweetness with no after taste.